Kristel joined Gift CPAs in 2016, bringing an extensive sales background and network, as well as more than 30 years of banking experience. As Kristel meets with prospective clients, she listens intently to their stories and identifies ways Gift CPAs can be of service to them. Kristel graduated from Leadership Harrisburg in 2014 and is extremely active in the community. 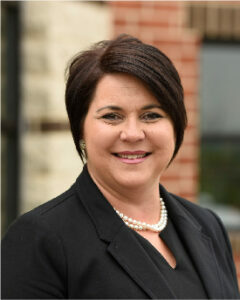 She has served in various capacities with numerous organizations, including the Salvation Army of the Capital Region, the West Shore Chamber of Commerce Foundation, Crime Stoppers of Dauphin County, and the United Way of the Capital Region. Kristel notes she is never at a loss for words – and she’s always immersed in them, whether she’s reading a good book or playing Words with Friends.